Domestic violence is a very traumatic, emotional and painful experience for anyone to deal with. It is defined as any physical abuse committed against a current or former spouse, a current or former cohabitant, someone with whom the victim has or had a dating or engagement relationship, or someone with whom the victim has a child with. If you’ve been charged with a domestic violence crime, contact an experienced Sacramento criminal defense attorney who can help you! Whoever willfully inflicts force or violence onto an intimate partner is committing domestic battery. Anyone can be a victim regardless of socioeconomic status, religion, age, ethnicity, sexual orientation or educational background. And like victims, abusers come from all sorts of backgrounds as well. They do share some common characteristics such as justifying their abusive behaviors, failing to take responsibility for the harm and use similar tactics to gain and maintain power. Forty (40) percent of California women experience physical harm from an intimate partner. If you have suffered anyone of these types of abuses, contact an attorney immediately to bring that person to justice. Penalties for those who willfully inflict bodily harm on others can be punished pretty severely depending on various factors. A defendant could be sentenced up to 4 years in prison and fined $6,000. If a defendant has a prior conviction for battery or assault, he/she can be punished by up to 5 years in prison and $10,000 in fines. 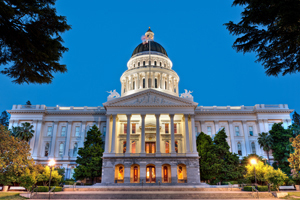 Choosing a knowledgeable Sacramento criminal defense attorney in connection with domestic violence charges is key to obtaining a favorable resolution. If you or someone you love has been charged with domestic violence, the experienced Sacramento criminal attorney Richard Chan can help. Call us at (916) 446-4400 for a consultation today.